Although it is geographically the smallest mainland state, Victoria is packed with an array of diverse areas and attractions, most of which are merely a day trip from its largest city of Melbourne. From the pristine beaches along its coast to the lakes, mountains, and forests of its interior, this small state offers a unique and varied landscape. Victoria is home to some of the most prestigious events in Australia, including the Spring Racing Carnival, Melbourne Cup, Australian Open Tennis Championship, Australian Grand Prix, Melbourne International Arts Festival, and a number of food and wine events. Originally home to Aborigines, the history of Victoria spans tens of thousands of years. 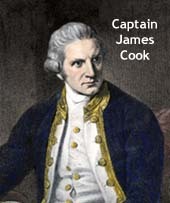 It was Captain James Cook who became the first European to make contact on the eastern coastline of Australia in 1770. By 1788 Great Britain had claimed the entire eastern portion of the Australian continent. Victoria was initially lumped into the colony of New South Wales (which included present-day Queensland). Its first settlement was stationed at Sullivan Bay. Throughout the 19th century, British settlements popped up along the coast, forcing the Aboriginal tribes from their native lands which began to cause conflicts. Victorian Aboriginal tribes continued to largely be ousted from the territory, and although protectors were appointed by the British Colonial Office, their numbers drastically decreased. In 1840 the first petition for the separation of Victoria from New South Wales was drafted. It was (finally) appointed a self-governing state in 1856. 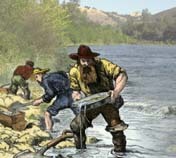 The discovery of gold across Victoria in 1851 triggered one of the largest gold rushes the world had ever seen, rapidly boosting the population and economic power of this small state. This era of prosperity ushered in a period of construction to accommodate the new growth, and in a period of six years, Victoria's wealth quadrupled. Unfortunately, as is the case with many overnight successes, this boom didn't last long, and public confidence began to quickly dwindle prompting a widespread depression by 1893. Despite the depression, Melbourne remained the financial center of Australia. Between 1901 and 1927 it served as the capital of the country while Canberra was under construction. To this day, the economy of the state is based largely on financial and property sectors. Culturally, Victoria is described as the "sporting capital of Australia." The Melbourne Cricket Ground is the largest stadium in Australia, hosting the Australian Football League (AFL). The stadium was the site of the 1956 Summer Olympics and 2006 Commonwealth Games. The city of Melbourne is also well known for its style and elegance, boasting some of Australia's best shopping, fine dining and the arts.